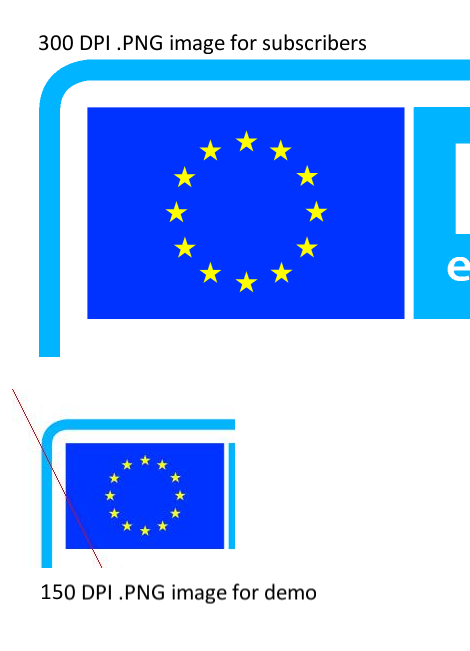 EU Energy Labels image quality, format and DPI. Usually all labels produced by this app are 300 DPI and the demo version creates JPG image. Subscribers get PNG images. JPG images are more widely used and consume less bandwidth, but PNG files are higher quality, though have a bigger file size. Once you have placed your order I'll contact you for your company logo, and your choice of image format. It may be possible to deliver your labels in other formats and DPI settings, please contact me for more information.